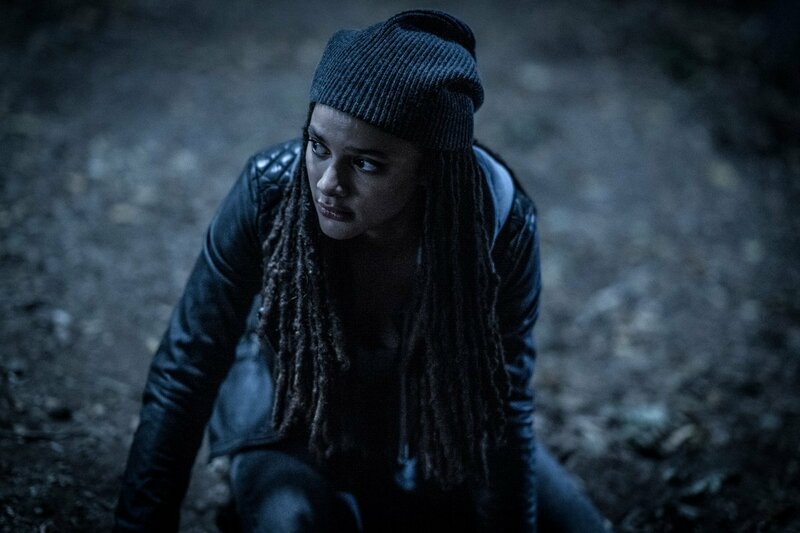 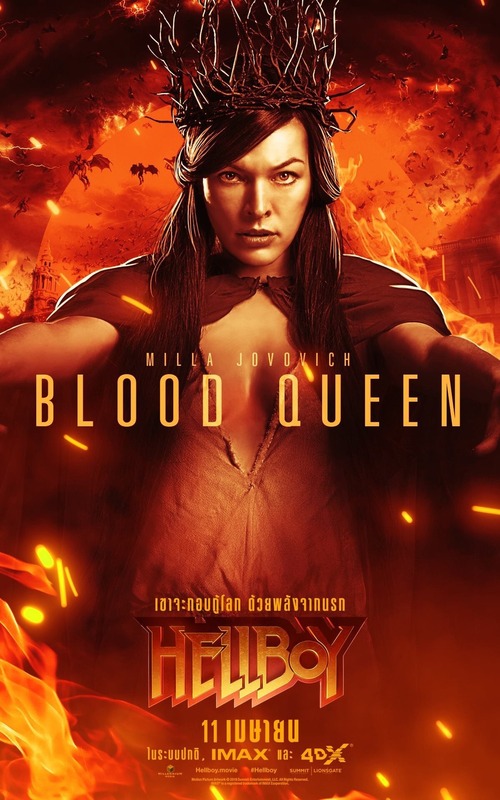 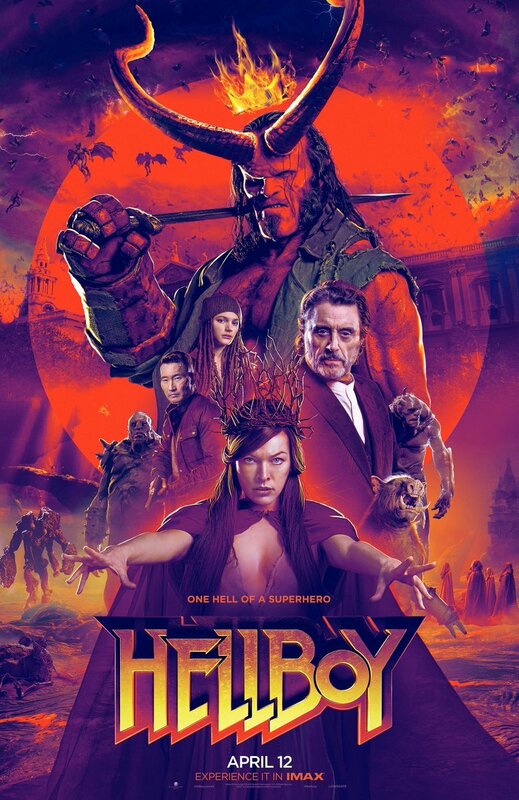 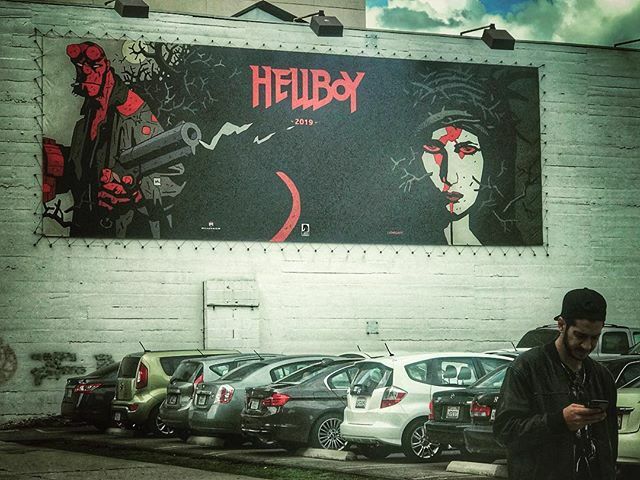 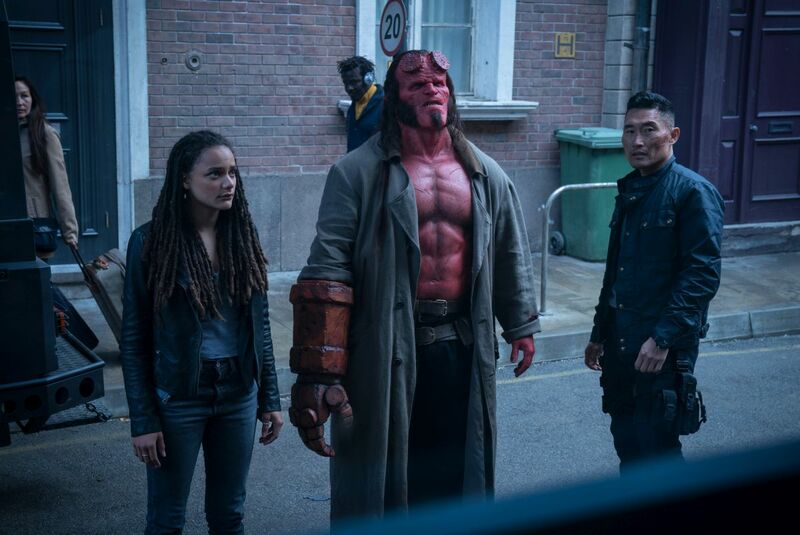 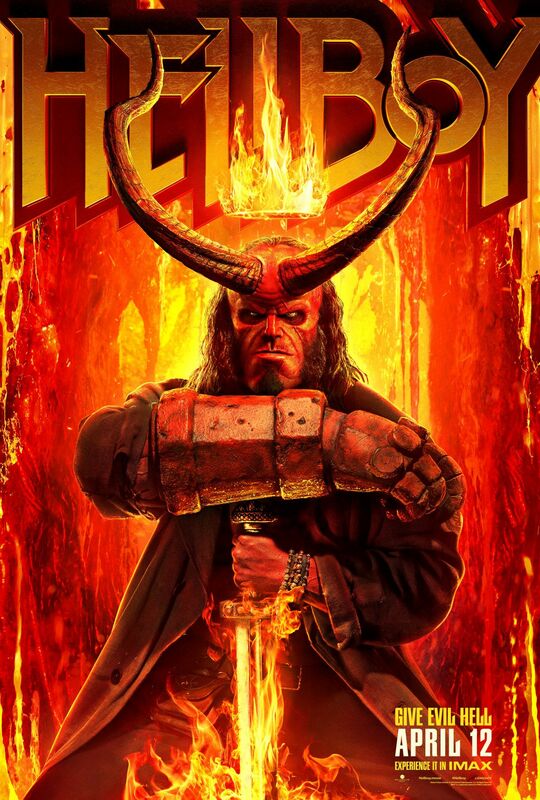 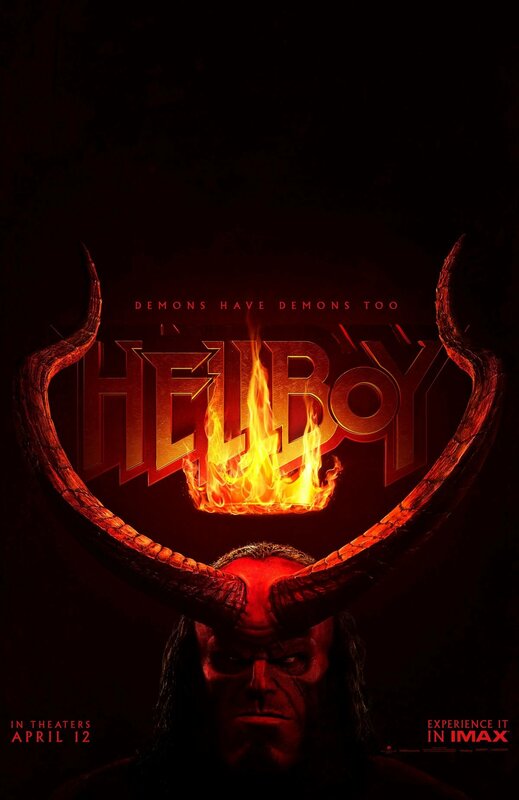 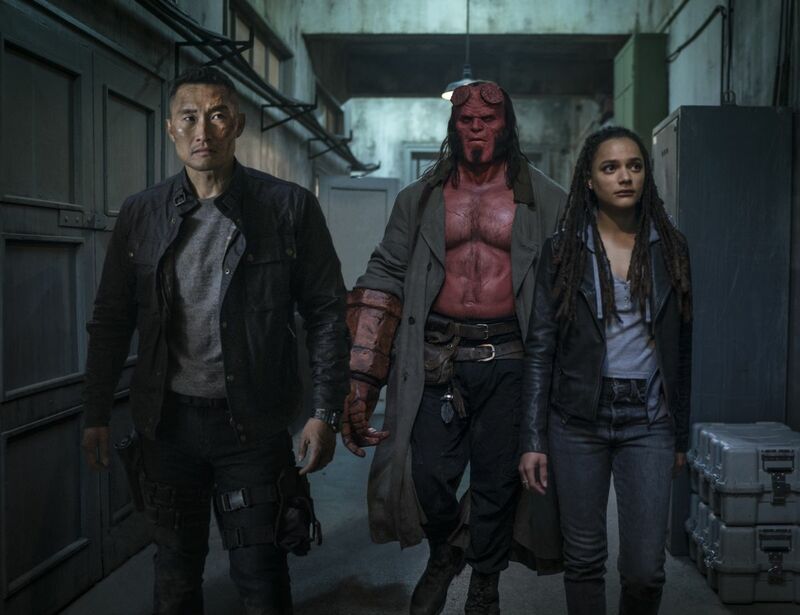 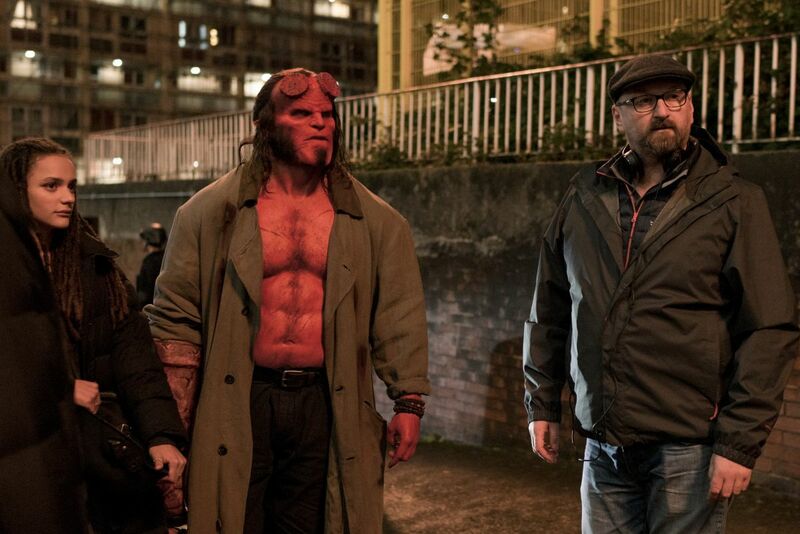 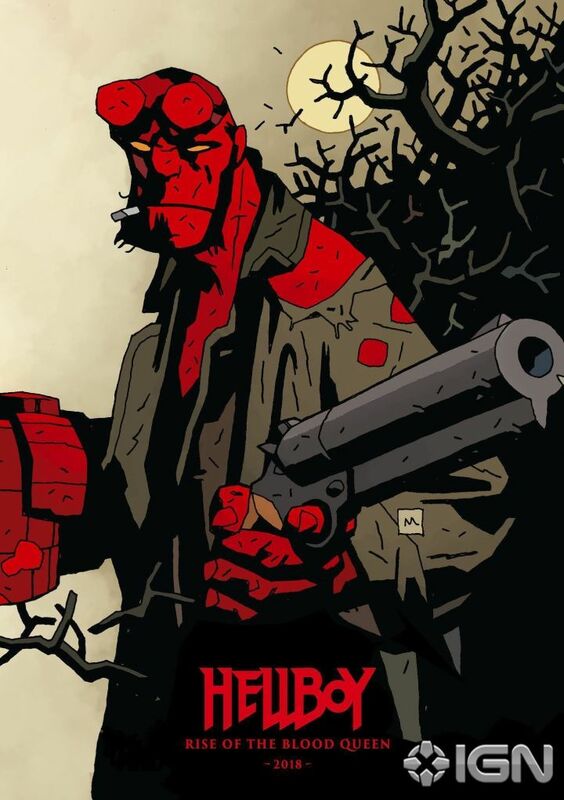 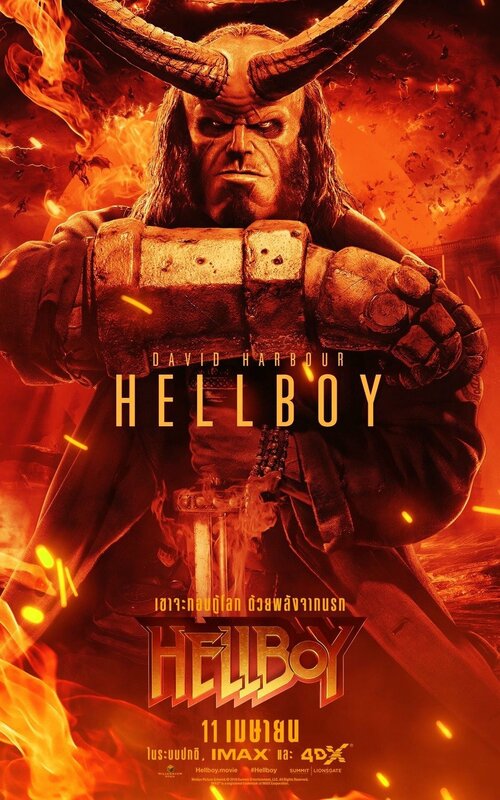 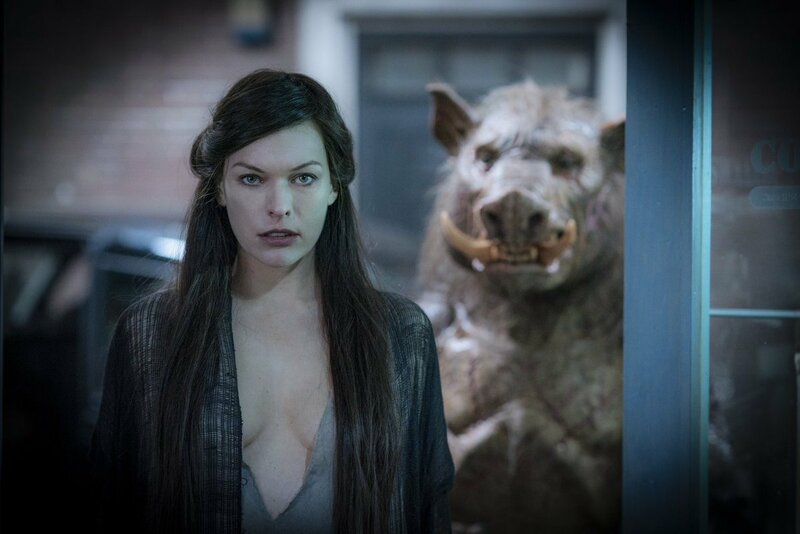 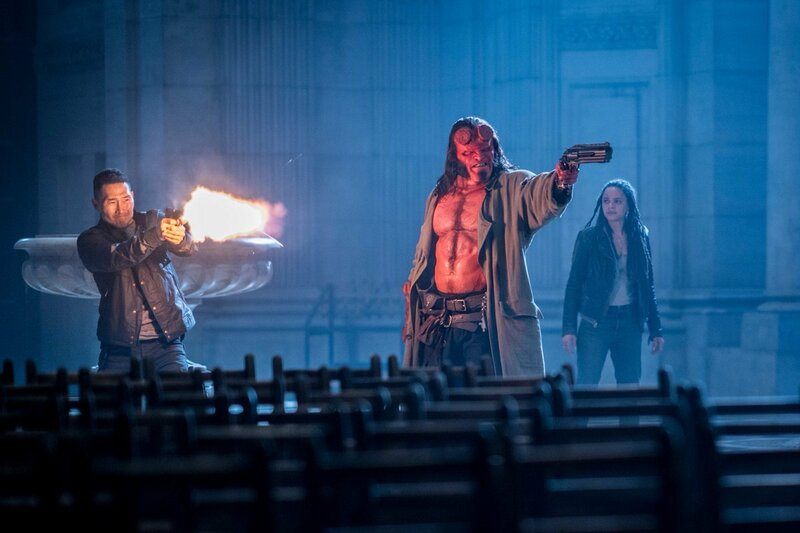 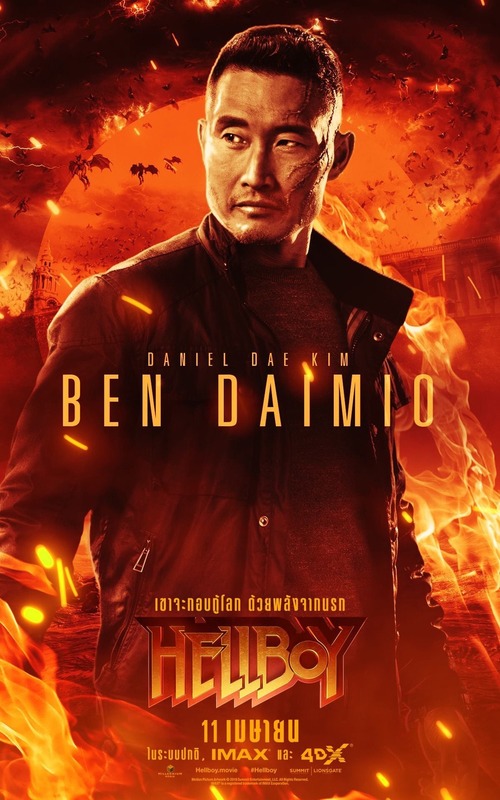 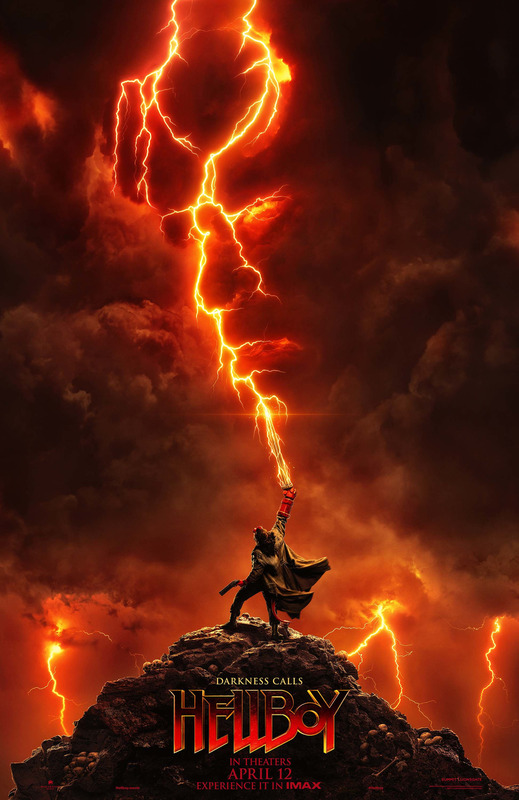 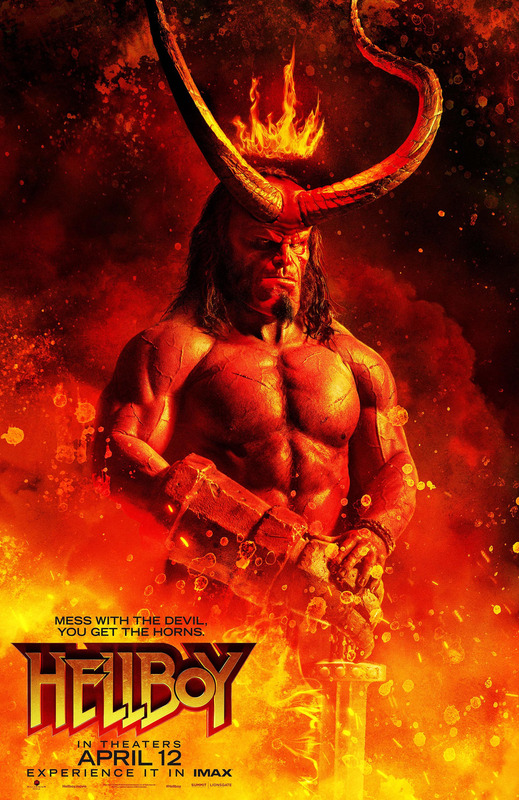 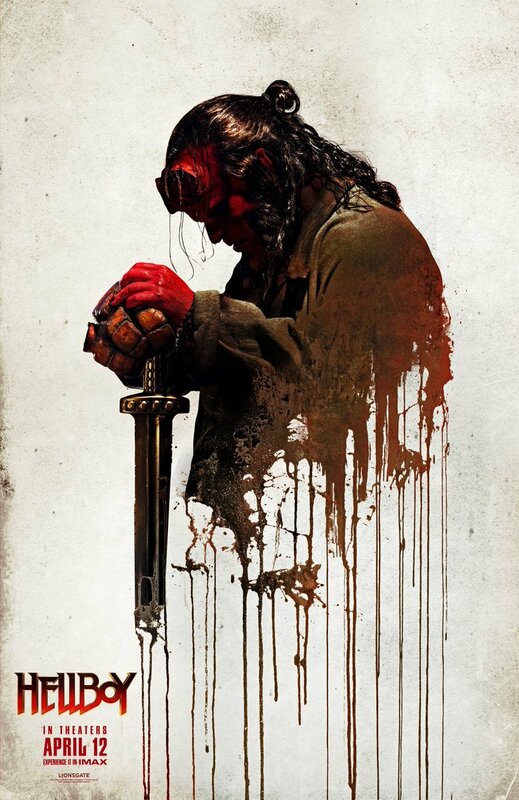 Sasha Lane as 'Alice Monoghan', David Harbour as 'Hellboy', and Director Neil Marshall in HELLBOY. 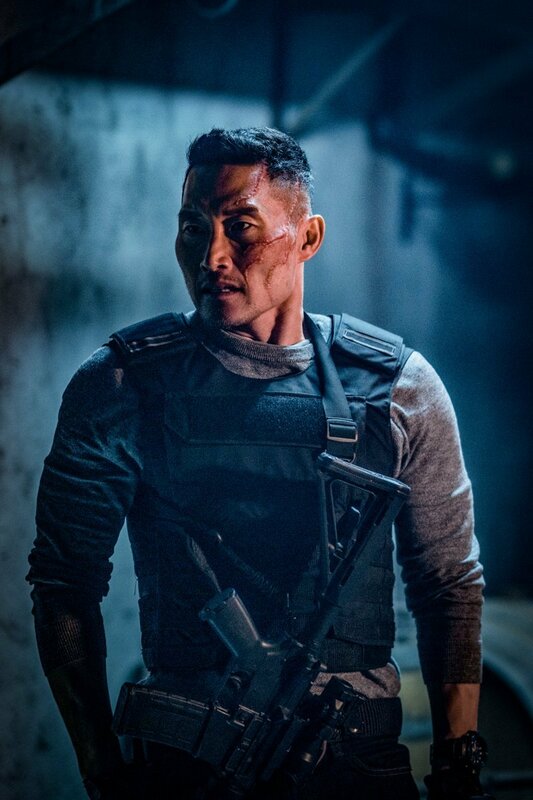 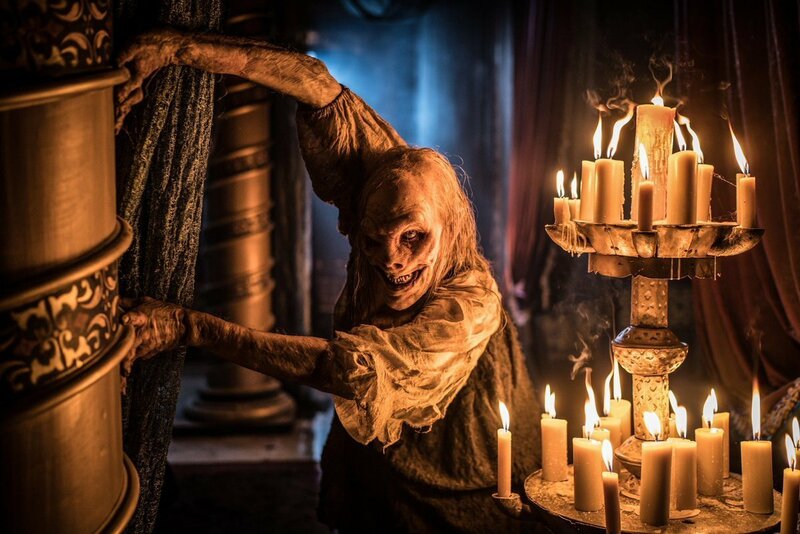 Photo Credit: Mark Rogers. 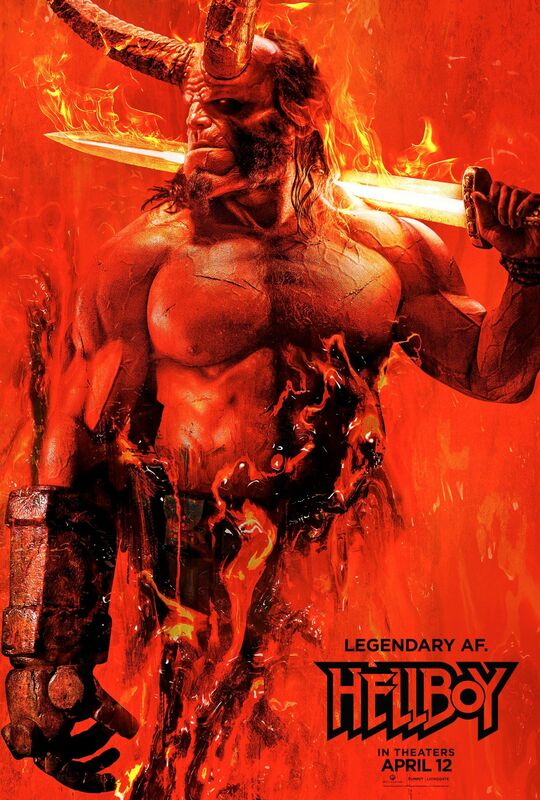 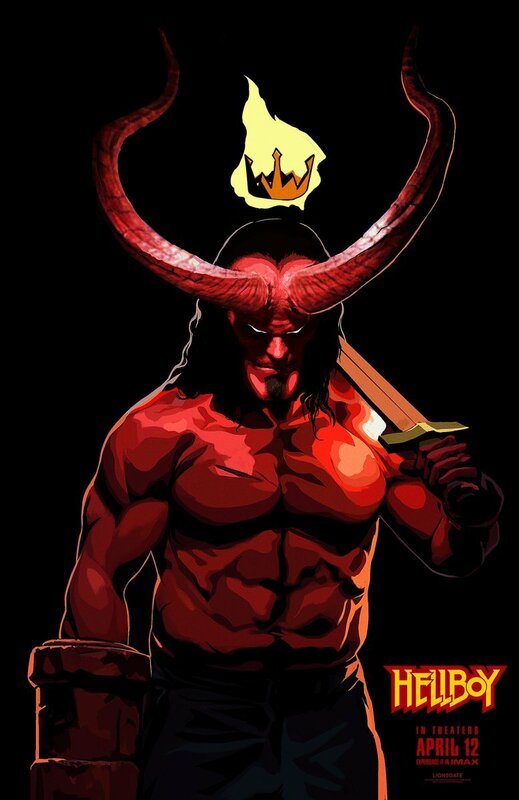 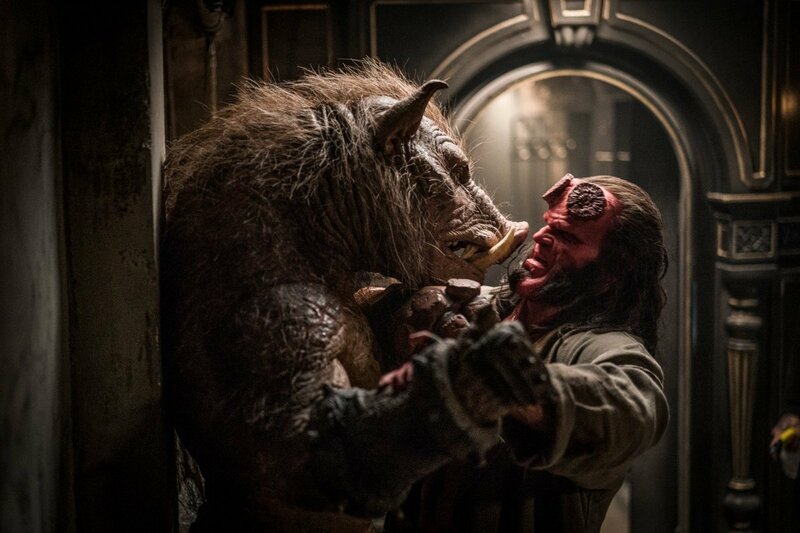 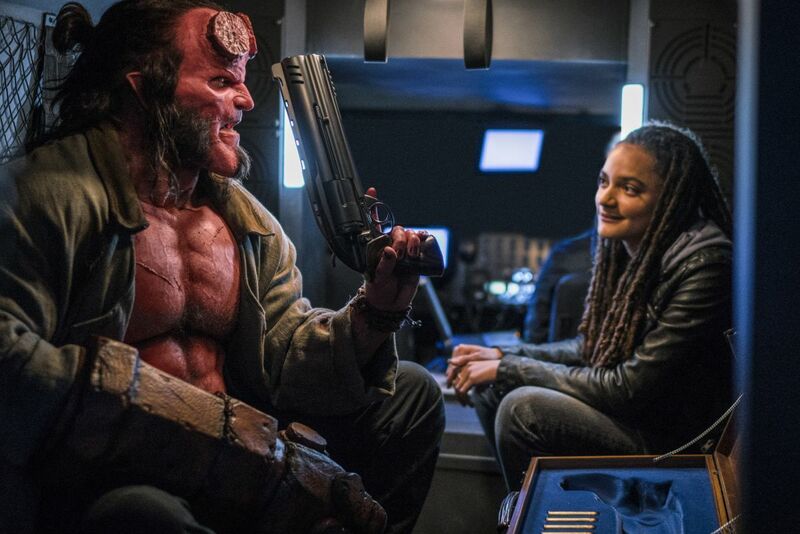 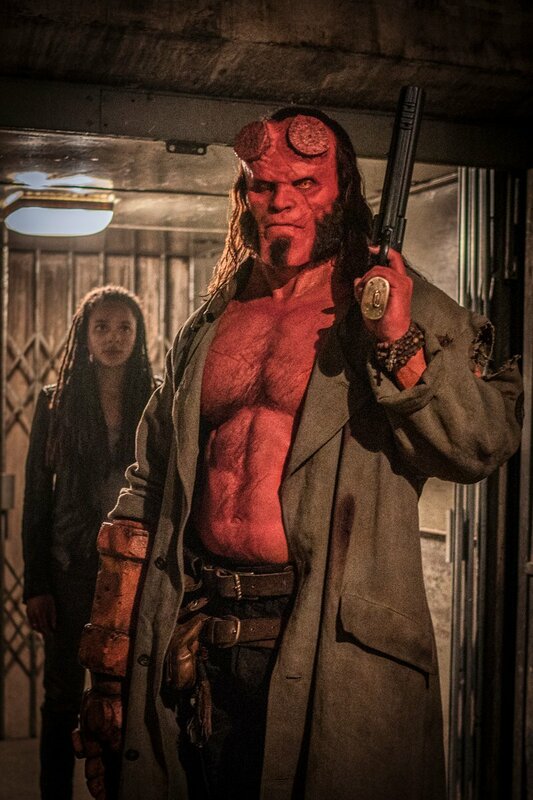 David Harbour as 'Hellboy' and Sasha Lane as 'Alice Monoghan' in HELLBOY. 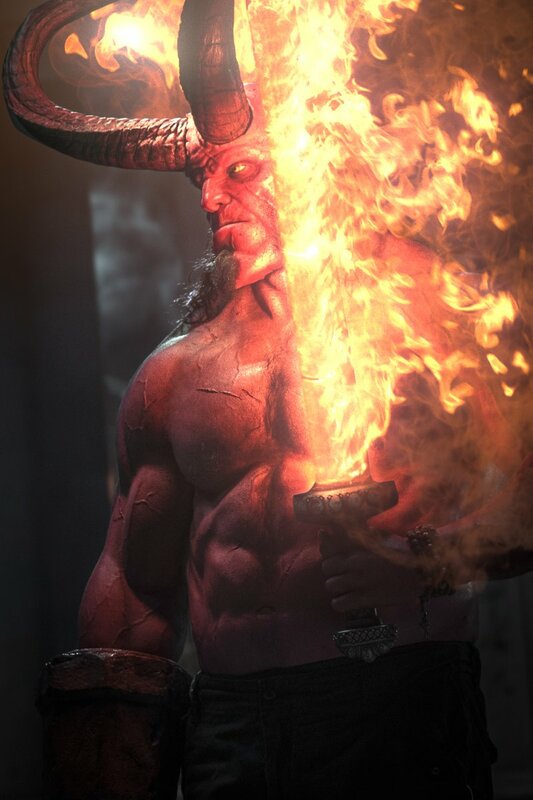 Photo Credit: Mark Rogers. 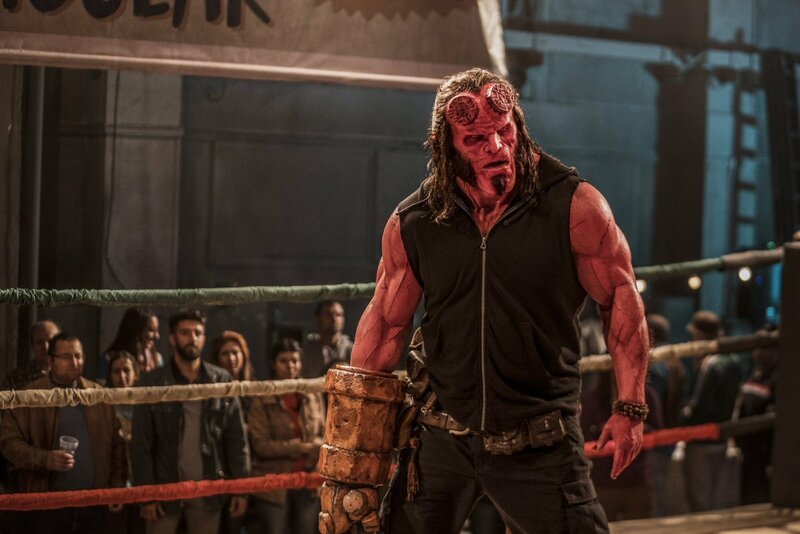 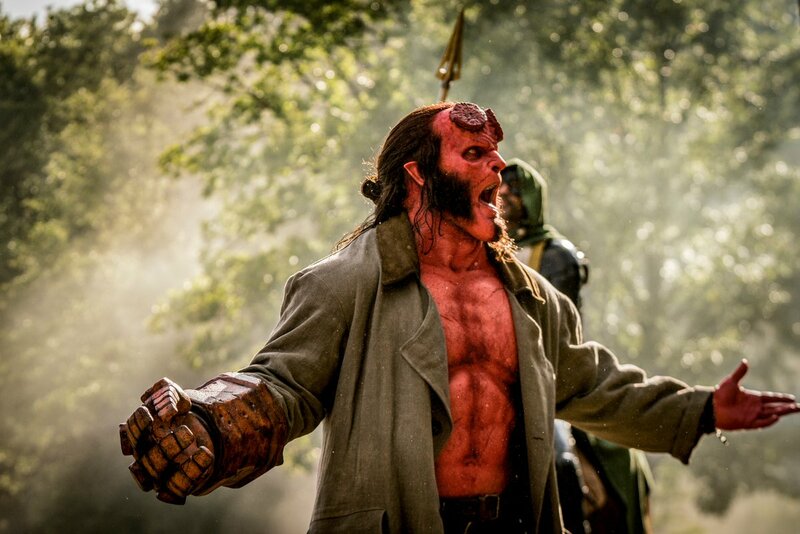 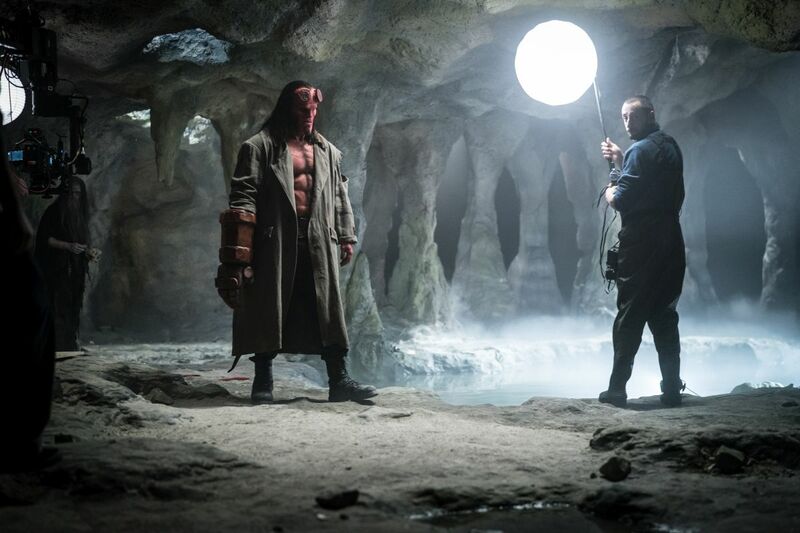 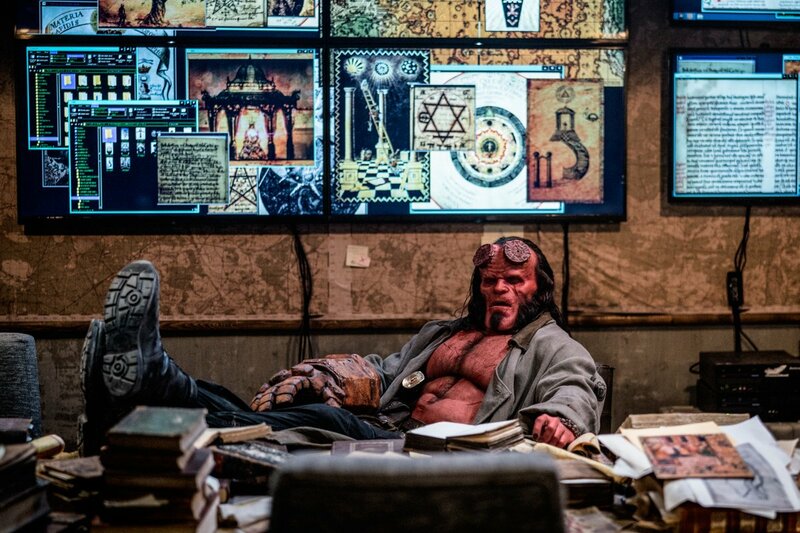 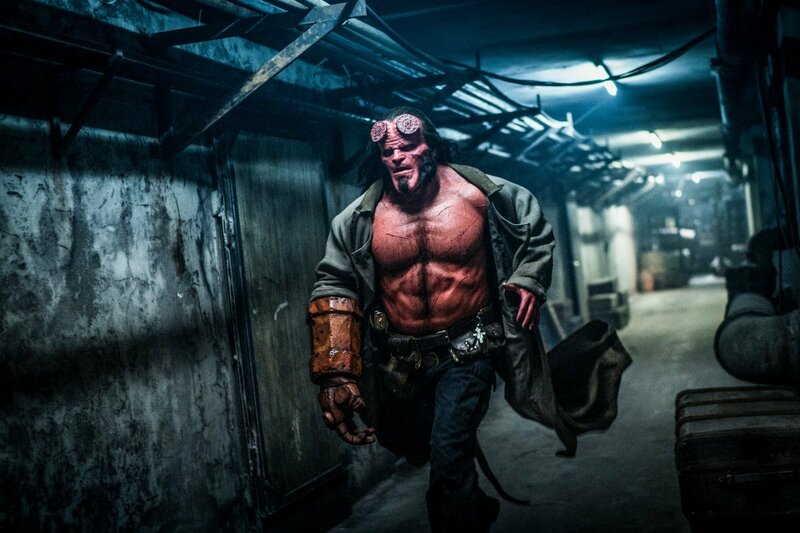 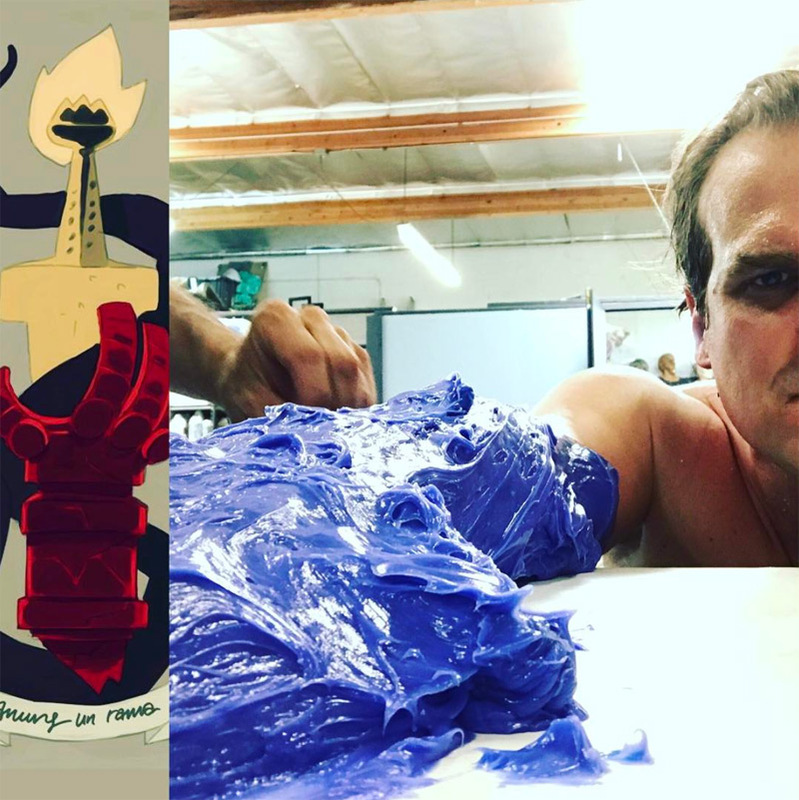 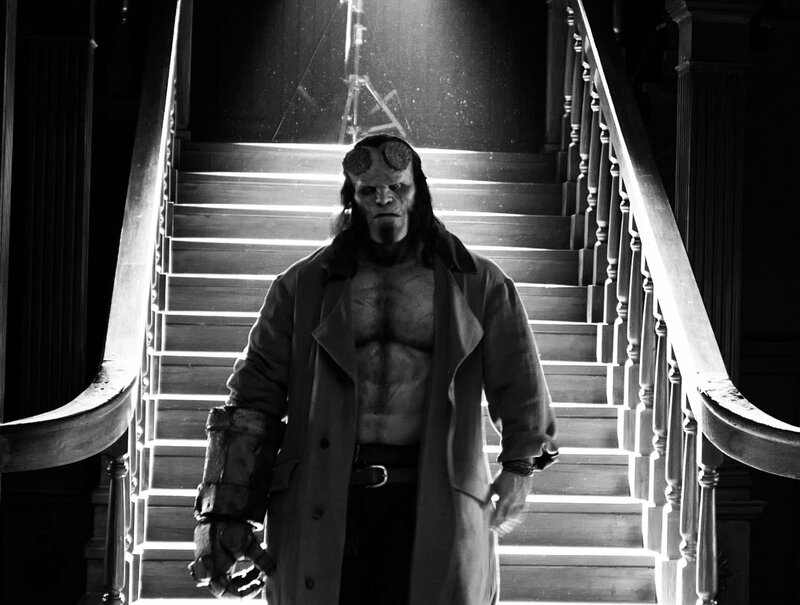 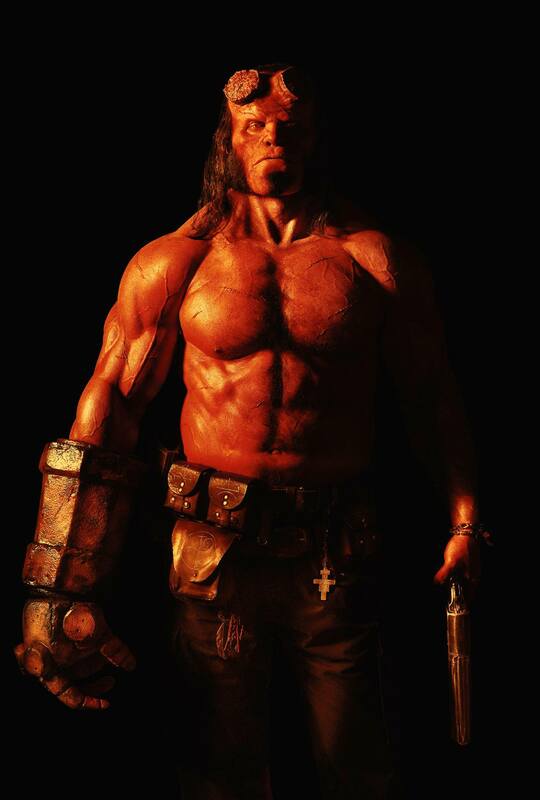 David Harbour on the set of HELLBOY. 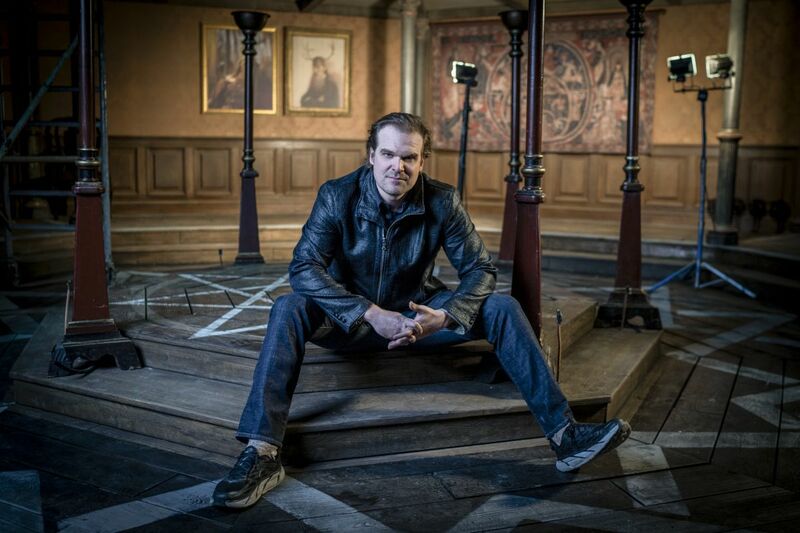 Photo Credit: Mark Rogers. 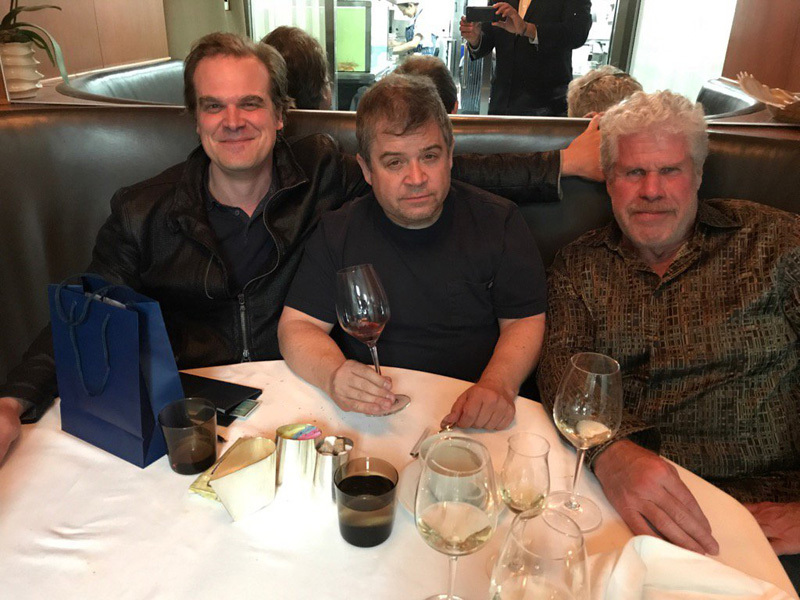 "Peace dinner" between Ron Perlman and David Harbour, moderated by Patton Oswalt.